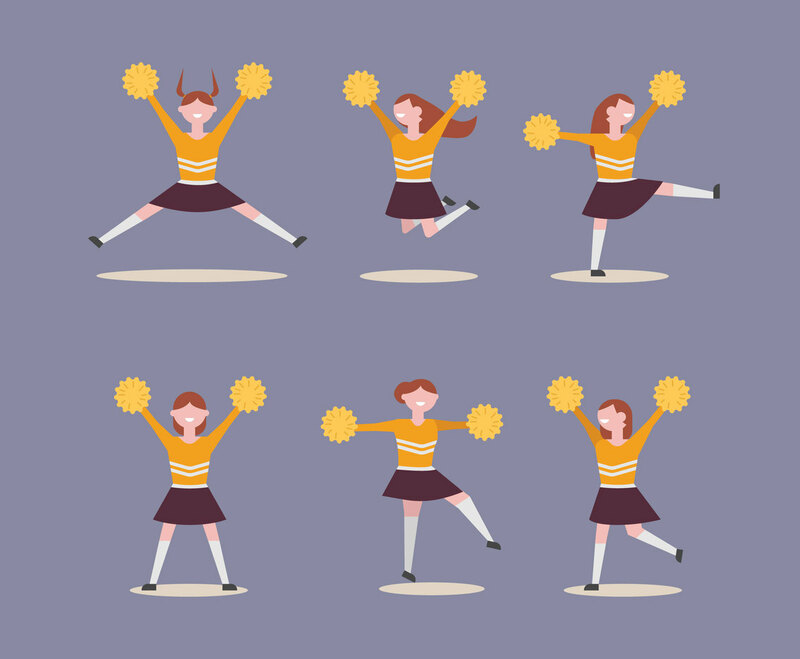 Several cheerleader girls characters illustration in vector format. The cheerleaders are dancing or doing acrobat with yellow pom pom. The set can be great for college sport poster design theme, as background or character design elements.